There are times when your services are extremely necessary for the protection of a principal or an event yet your contract is 3 tiers below the relationship with the client and principal. Even if you have worked successfully under this arrangement in the past you experience difficulty in conveying your needs in order to provide the elite services you are known for. Start the requests for your needs by phone early in the process once you know your services are required and follow-up with emails to that conversation [CYA]. You should already know what your time table is to complete your proactive tasks before the start date. In your conversations make sure you articulate the time table and WHY those dates are important. You should never just come up with requests, dates and times without proper justification. For instance: If a principal is scheduled to arrive on Sunday at 0900 and you are expected to pick up services once he arrives and you also know that day’s schedule. Depending on the amount of sites and the amount of personnel you have agreed upon you will have to figure out when your people need to be on the ground and WHY. Just saying we need to be in town on Friday is not enough. But if you say that we need to be there by Friday in order to accomplish A-B and C it will be easier to get that request granted. The issue can come when your agreement falls under another subcontractor of the client. Your request has to go through them unless you have a direct relationship with a client POC. Knowing that ahead of time means that much of your rationale could be lost in translation through a second party non-security entity. That’s why the email trail is needed [CYA]. It affords them understanding and justification that can be explained by the non-security entity when they intimate your needs and requests. Like it or not, this is common in the industry. I know that many of you will take the hard stance and say, “I will NEVER enter into an agreement under these circumstances. What I say to you is this, “Keep waiting for that phone to ring.” YOU have to understand the politics of how this industry works and how you can make those politics work for you and still get what you need and want. You are NOT going to always have a direct relationship with a client. That comes with time and service. In the end you have to be viewed as a necessary part of their equation especially if the company that subbed you already has a relationship with them. Build your credibility and then you will be elevated. 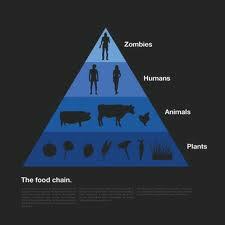 Until then work your way up the food chain. Master this skill and it will keep you gainfully employed. Being the guy on the detail that always points out short comings or problems will endear you to no one. Being the one the identifies problems and can offer a well thought out solution, now that is golden. But of course no body offers a high speed course in that. That is why a quality mentor is worth their weight in gold.